Paris is a town of Cinephilias, people who love to go to the movies. But it’s also a photogenic town. 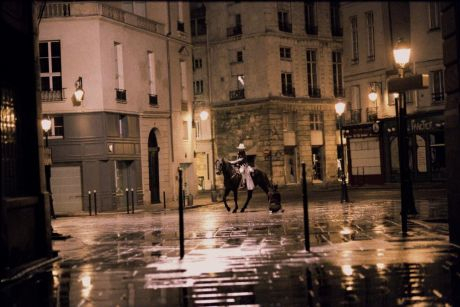 And most of the films shot in Paris are in a way love declarations to the city. One film makes it very clear and puts the declaration explicitly in its title: Paris, Je t’aime. It’s one of my favourite films about Paris. I don’t get tired seeing it again and again. And this not only because the Café-Bistro next door, Le Progrès, since appearing briefly in the film, has become the hot spot of our neighbourhood. There is another reason. 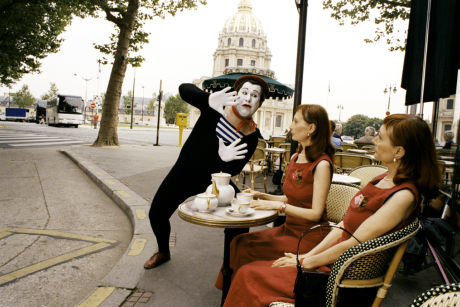 Paris, I love you just makes you feel being there: It’s an two-hour film of 18 vignettes, shot by 18 various directors including the Coen brothers, Tom Tykwer, Gus Van Sant, Oliver Assayas in 18 various arrondissements of Paris. Initially the idea was to have all the 20 arrondissements, but it ended up with two missing. But who cares? The truth is that the short stories of these short films could play everywhere. Paris gives just the beautiful setting of profoundly human encounters and situations. Take the Montmartre episode, for example. French writer-director-actor Bruno Podalydès shows a man in his midlife-crisis, parking his car, watching the women passing by, imagining that they are all “taken”. Then one of them is fainting near his car. He comes to her aid. She ends up laying down in his car in unexpected intimacy. How it ends? Well, Podalydès doesn’t show. But I think we all know: It ends like a love story in Paris starts, I guess. Paris je t’aime arouse a lot of attention when it made the opening of the Certain Regard section of the Cannes film festival in 2006 thanks to an ensemble cast of actors of various nationalities like Juliette Binoche, Fanny Ardant, Gérard Depardieu, Maggie Gyllenhaal, Nick Nolte, Gina Rowland, Natalie Portman, you name it. As the directors are not less international, the film is indeed an astonishing mixture of cinematic signatures. That may be makes the whole difference. Because it’s not about the Parisian belly button. It’s not an adventure of a handful French (and that often means Parisians directors), but of a most international group. Think about Loin du 16ème. It’s a sad story of young mother with obviously south-American emigration back-ground raising up long before dawn to bring her baby in a day-nursery. She then leaves behind her life in a shabby suburb to quickly get to the posh 16th arrondissement where she starts her day as a nounou, a nurse. She’s singing the same lullaby to the two babies, but the second time in a cold and heartbreaking way. 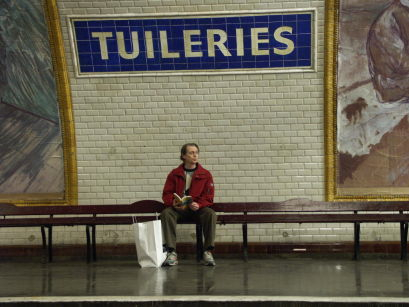 This is what it is: Parisian reality, seen by a Brazilian writer-director. Stories of Love from the City of Love says the subtitle. Well, it's about love and the lost of love, it's about the magic moments and the long desaster of missunderstandings. If you’re planning going to Paris, well just catch this film in the video library and dive into the atmosphere. You can’t get a better preparation.